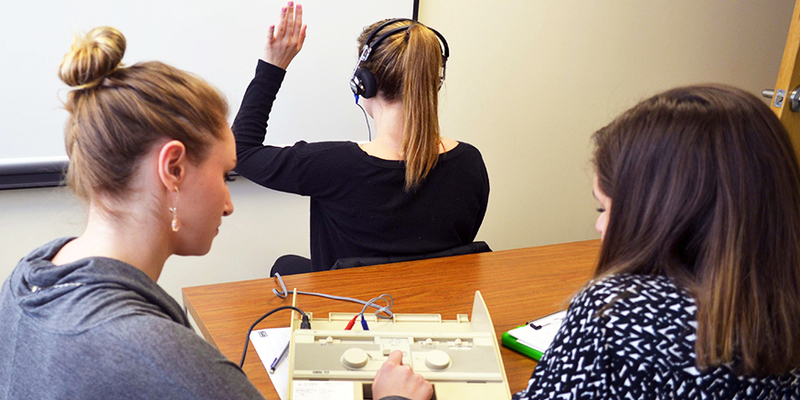 In the onsite Post-baccalaureate preclinical program, students complete prerequisite courses alongside undergraduates in the Communication Disorders undergraduate program. Coursework is therefore very much like being an undergraduate: students should expect lecture and discussion sections taken in a carefully selected order. Students interested in applying to graduate school in speech-language pathology should be aware that this sequence provides required coursework in the field of Communication Disorders only. Most graduate programs will also require that students complete general education undergraduate coursework in biological science, physical science, social sciences, and statistics.